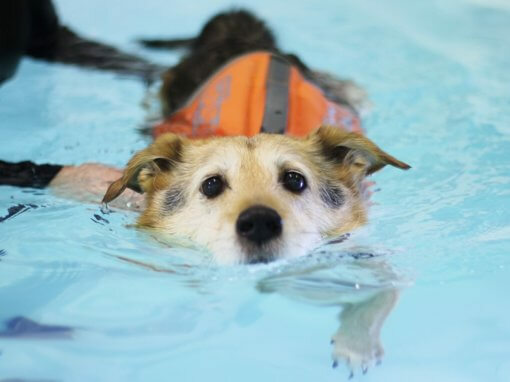 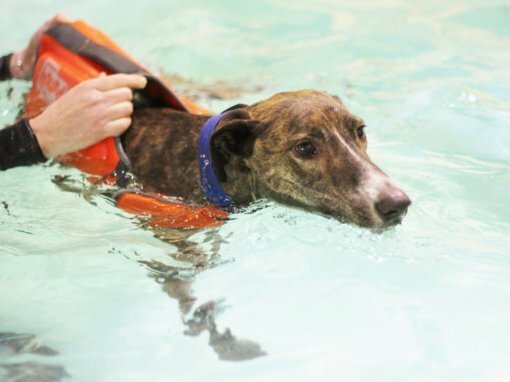 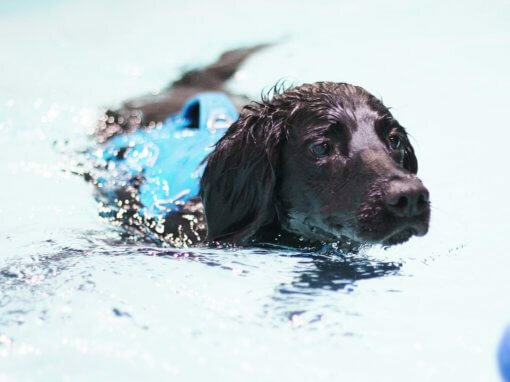 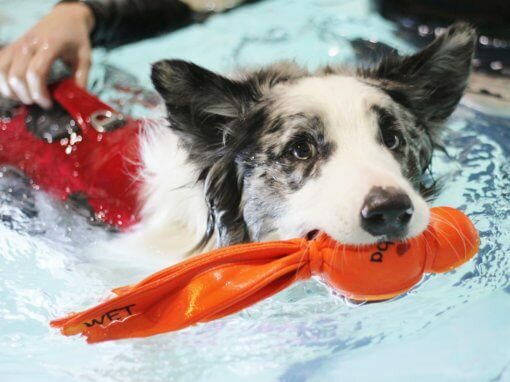 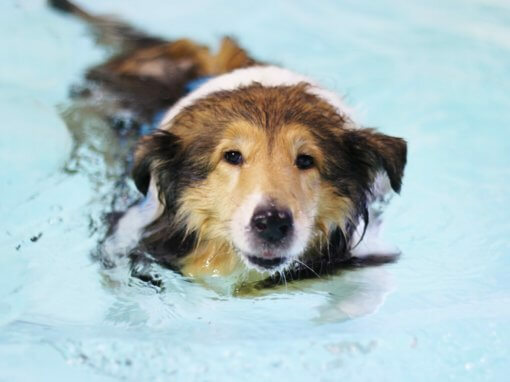 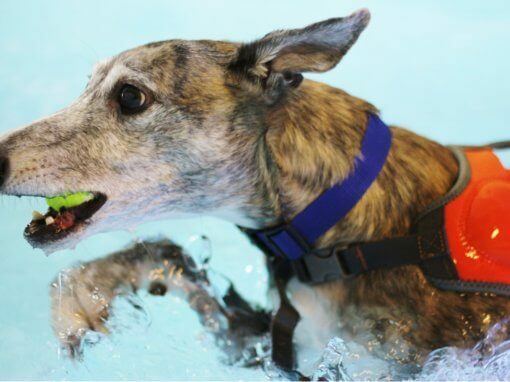 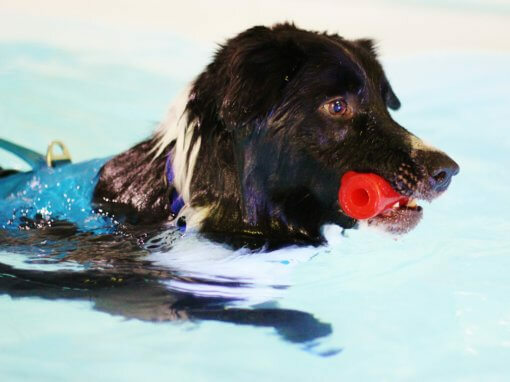 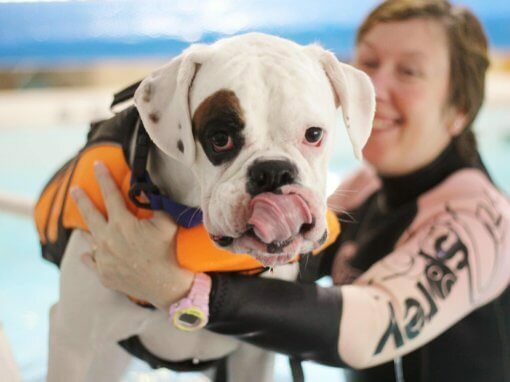 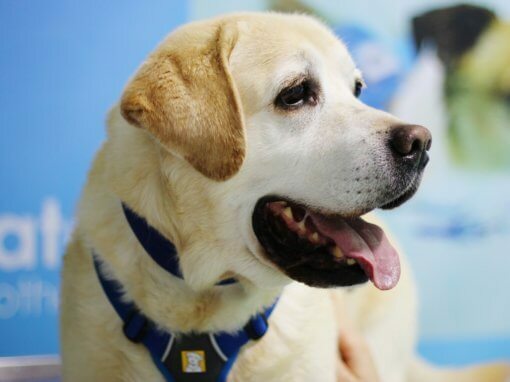 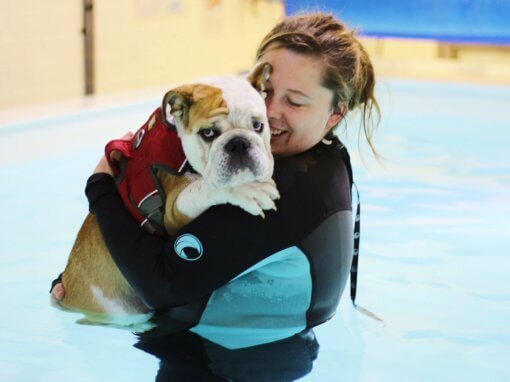 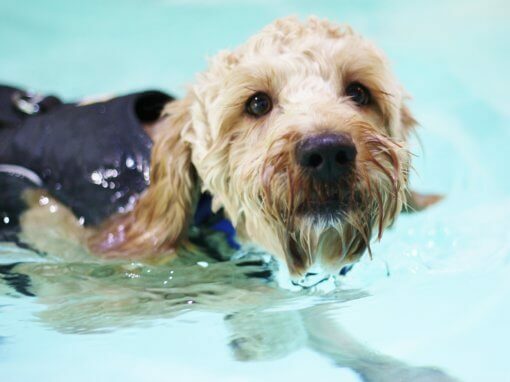 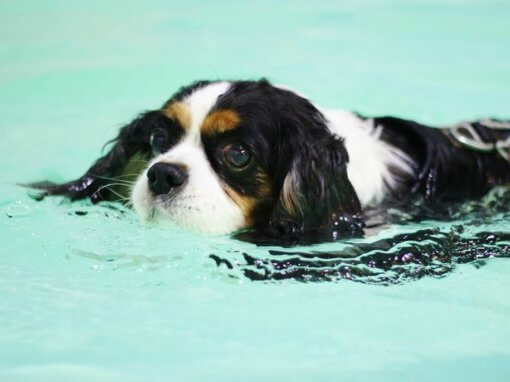 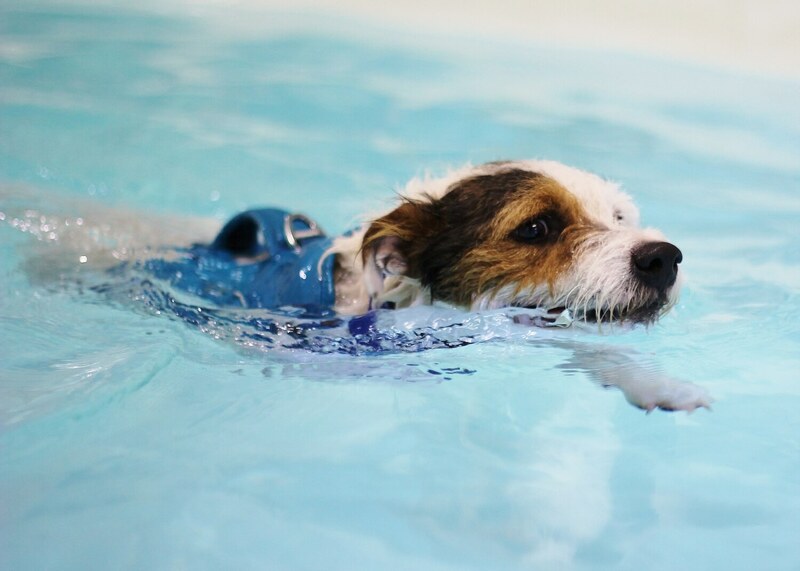 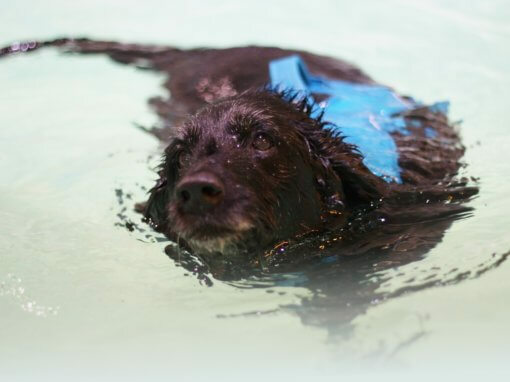 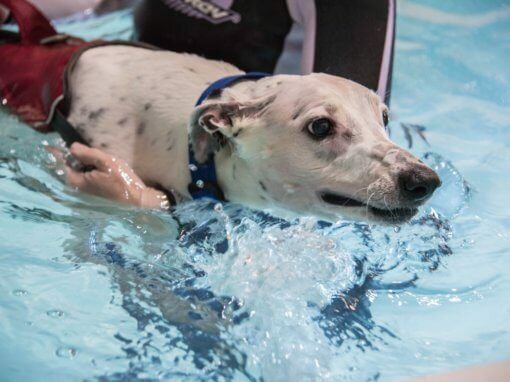 Percy started to attend Bluewaters Canine Hydrotherapy Centre on 21st April 2018 as he was limping after long walks, he was eventually diagnosed with a grade one luxating patella (where the knee cap dislocates out of position) on his right hind limb. 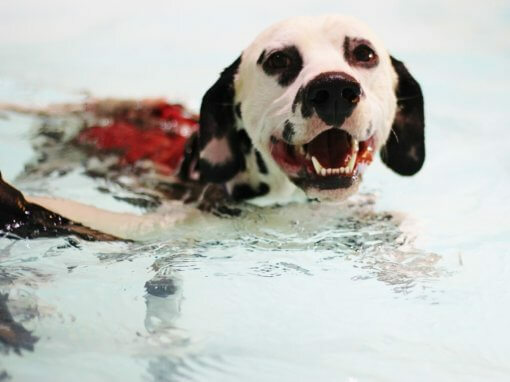 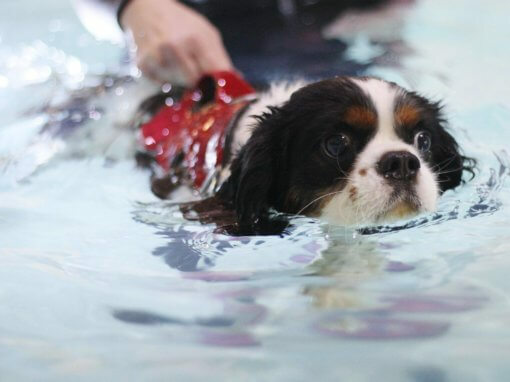 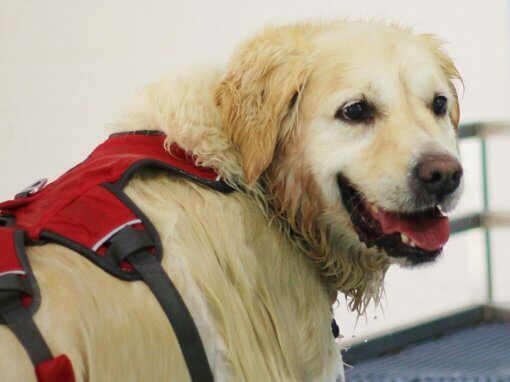 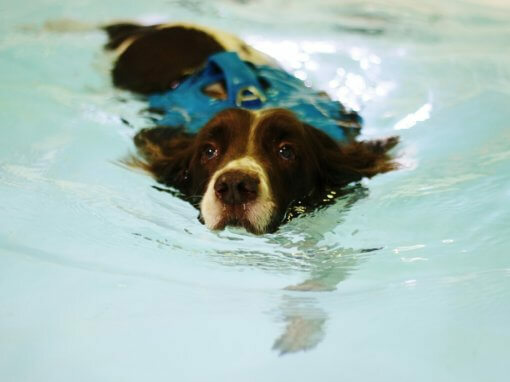 Percy loves the water and as his condition is only low grade we decided to start his treatment in the hydrotherapy pool which he took to straight away, especially as there was a tennis ball involved. 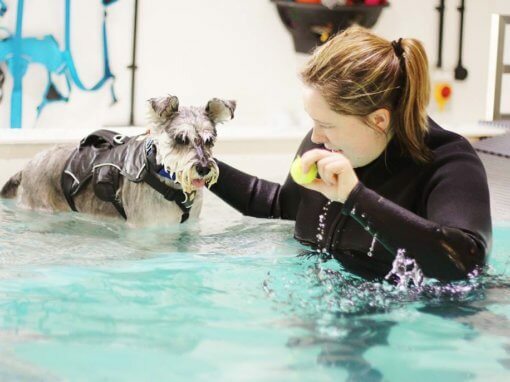 Initially there was very minimal extension from either hind limb but as Percy has progressed the extension from both hind limbs is very good. 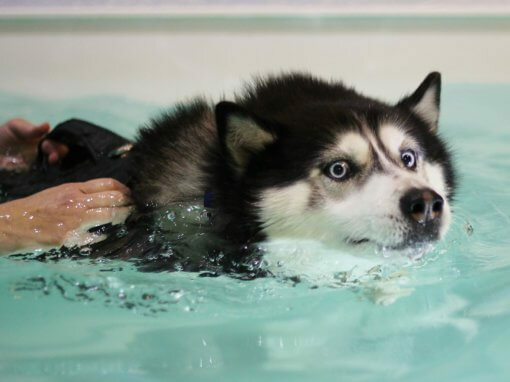 He does sometimes hold his bottom a little low as he swims so we have to correct his position in the water occasionally. 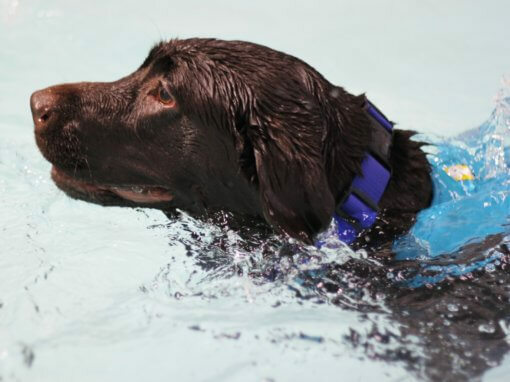 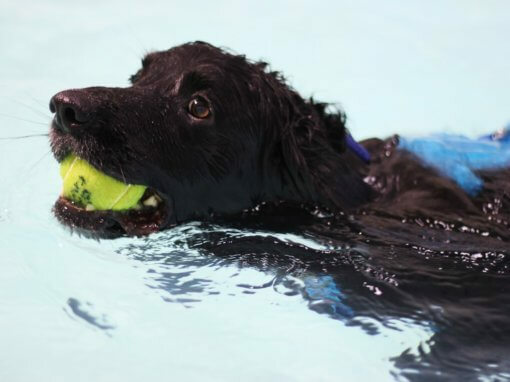 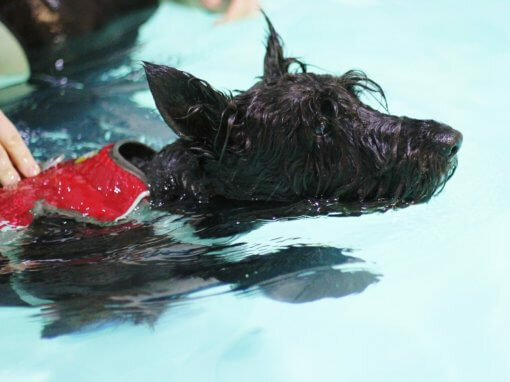 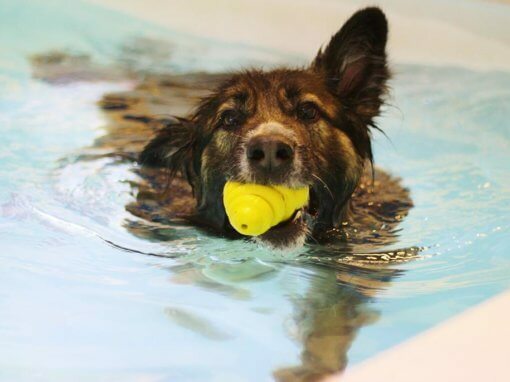 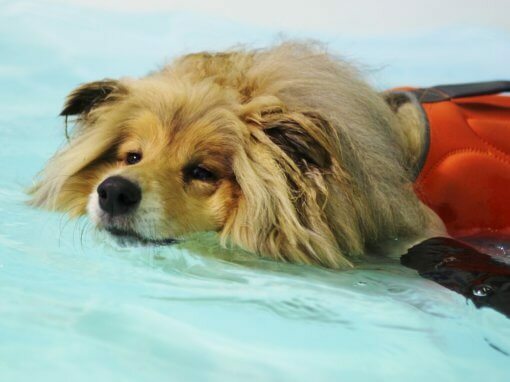 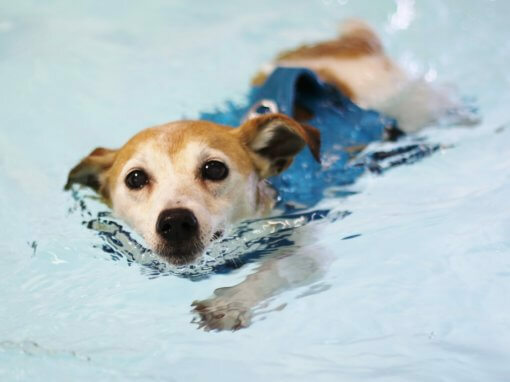 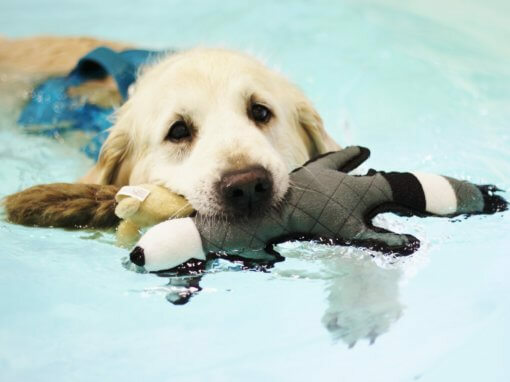 Percy loves his sessions in the pool so much so hydrotherapist Julie really struggles to get him to rest on the ramp – his tennis ball is far more important! 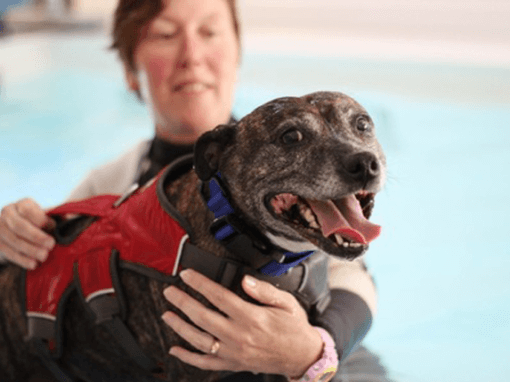 His owners have been delighted with his progress and report that they would hardly know there was an issue now, Percy doesn’t limp after a longer walk and his happy to be handled over his hind limbs, before he used to growl and find it uncomfortable. 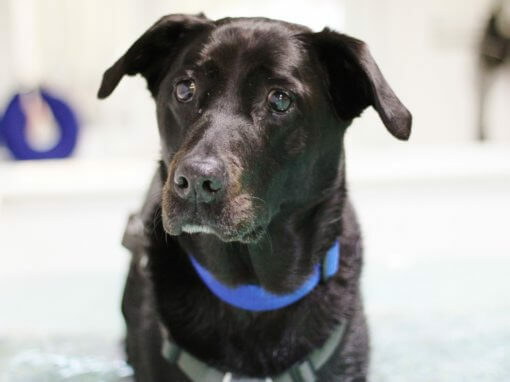 Since the start of his treatment Percy has gained muscle on all four limbs, with 1 cm gained on his affected limb, Percy‘s hind limb muscle mass is now almost even. 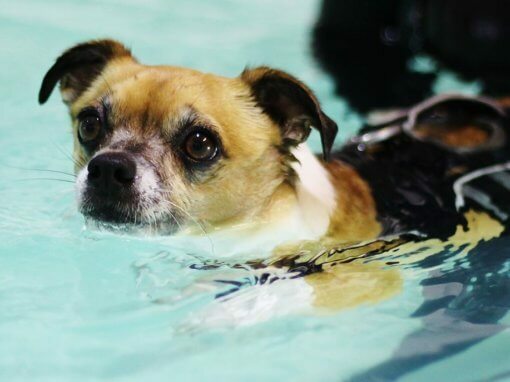 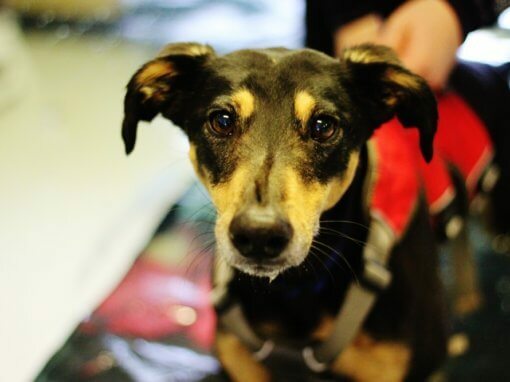 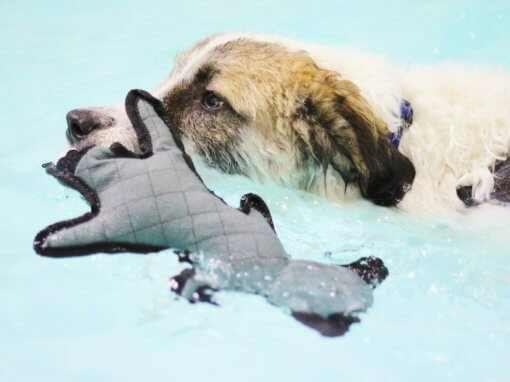 Percy attends the centre every week with his companion Bertie who also loves his swimming! 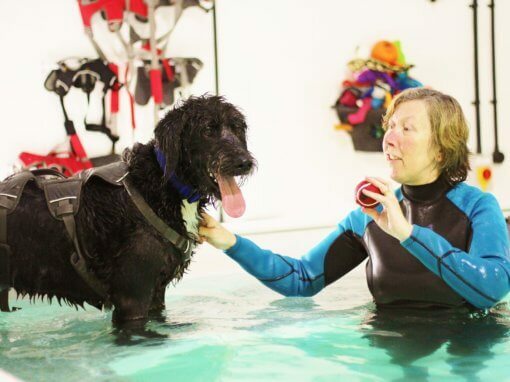 We look forward to seeing the dynamic duo every week, it’s lovely to see Percy progressing so well. 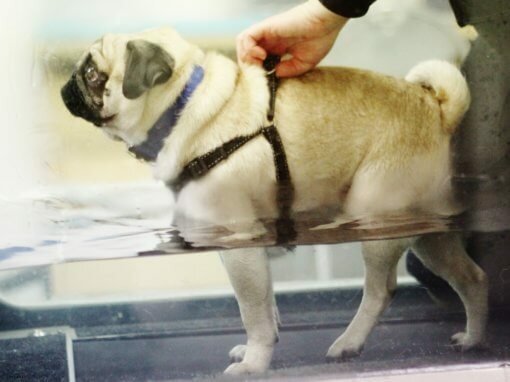 After playing fetch or going on long walks Percy would lift his back leg, hold it up and walk on three legs, or hop every other step. 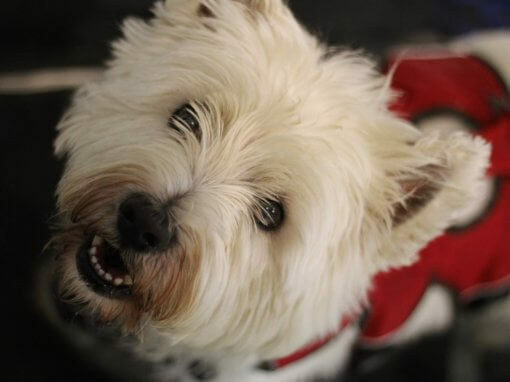 Also when he was resting on the sofa if anything moved around him he’d growl in case it was about to touch his leg – for example, if our other dog, Bertie jumped up next to him. 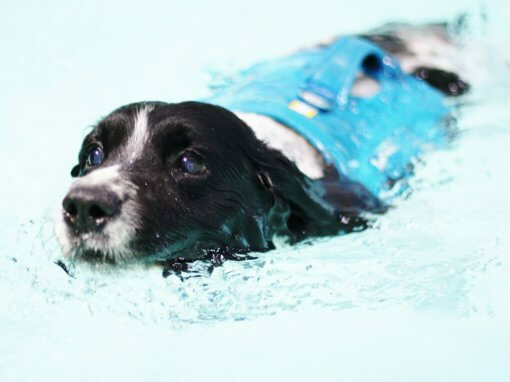 Since coming to Bluewaters Percy can enjoy exercise for longer periods without it affecting his back leg. 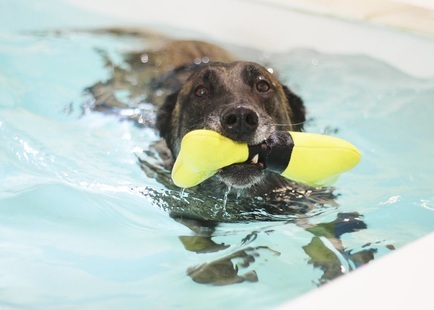 It is rare that he lifts it now and normally only after a long distance fetch. 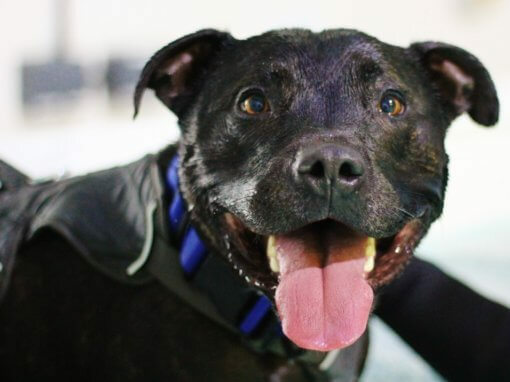 Percy absolutely loves coming to the centre and gets excited from the moment we park the car. 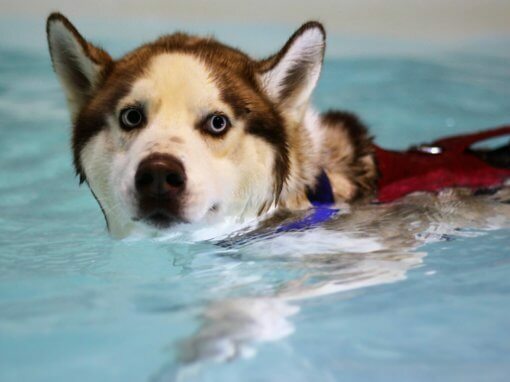 He can’t wait to get in the pool and gets faster every session!